1. The media player is smooth and supports hardware decoding. 2. Support for decoding of complete video format decoding in decoding format. Support H.265 hardware decoding. 3. Convert your normal HDMI TV to a smart TV, making your living room a popular home entertainment center. 4. Watch amazing 1080p HD content, chat APP. Remark: The remote control does not have a battery, and the customer needs to use 2 AAA batteries. Want to be notified when the M96X II Plus 2GB RAM + 16GB ROM TV Box gets even cheaper? Make sure you snag the best price by entering your email below. We'll email you when the price drops, free! We're tracking the price of the M96X II Plus 2GB RAM + 16GB ROM TV Box every day so you know if that deal is really a steal! Check back for to check the best price for this product - and whether its current sale price is really the cheapest it's been! 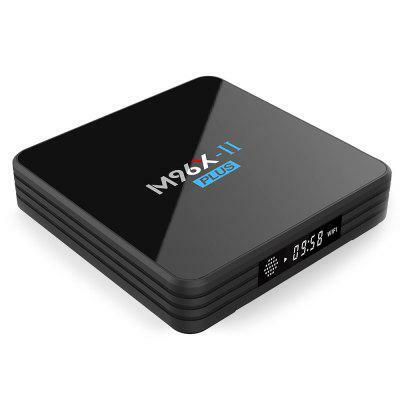 No M96X II Plus 2GB RAM + 16GB ROM TV Box coupons found!